ADAM LAMBERT AND BYRON COOKE’S 17-MINUTE UNCUT INTERVIEW. Adam Lambert‘s jumped on the phone with LockIn Radio‘s Byron Cooke, because The Original High is coming out on 12 June through Warner Bros. Records. The conversation is uncut and 17 minutes long and in it, they discuss the new approach to his sound with Max Martin and Shellback as Executive Producers, wearing his heart on his sleeve, collaborations with Tove Lo and Brian May from Queen, all whilst Adam eats some rice crackers. There’s also an amazing amount of flirting, continuing on from Byron’s previous attempts at getting a date with Adam. Adam Lambert's opened up to Byron Cooke ahead of the release of The Original High on June 12, 2015 through Warner Bros. Records. Adam Lambert, former “American Idol” contestant, gives MTV News the behind the scenes scoop on his 'Ghost Town' music video. In celebration of his new single “Ghost Town,” MTV News asked Adam Lambert which famous ghosts (James Dean, Tupac, Kurt Cobain, River Phoenix, Snap Chat Ghost, Beetlejuice, Patrick Swayze, Whoopi Goldberg, Slimer, Jimi Hendrix and Casper) he’d swipe right for on a dating website. Recorded on May 20, 2015. 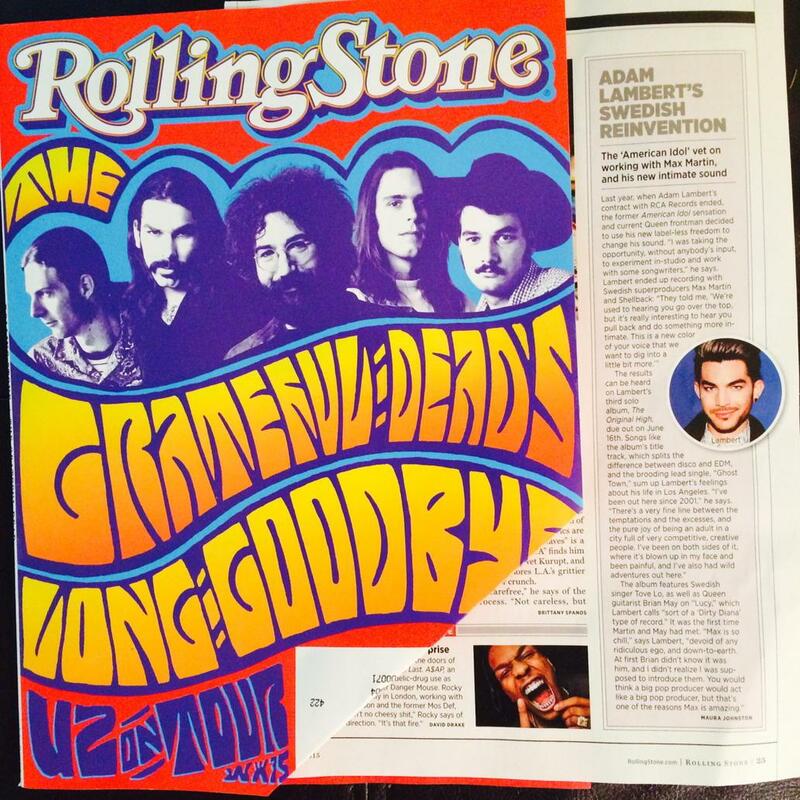 @adamlambert in today's Rolling Stone Magazine! He’s the only gay man to debut at number one on the Billboard charts, and he’s the first openly queer singer to launch a career with a major label, but despite the forward-thinking nature of his career, Lambert looks to the past—his time before breaking through with American Idol—as the inspiration for his upcoming third album, The Original High. A mix of acid house, loudly belted lyrics and slick production, the album is an exploration of gay Los Angeles, from West Hollywood to Silver Lake. “I want to wipe the slate clean,” he says, referring to his past sound and Idol-influenced work. Out June 16, the album is grimier, darker and more introspective than his first two, For Your Entertainment (2009) and Trespassing (2012). Still, Lambert wants you to dance. Though the beats and lyrics are more contemplative, the goal is to move not just a WeHo dance floor but the rest of America as well. 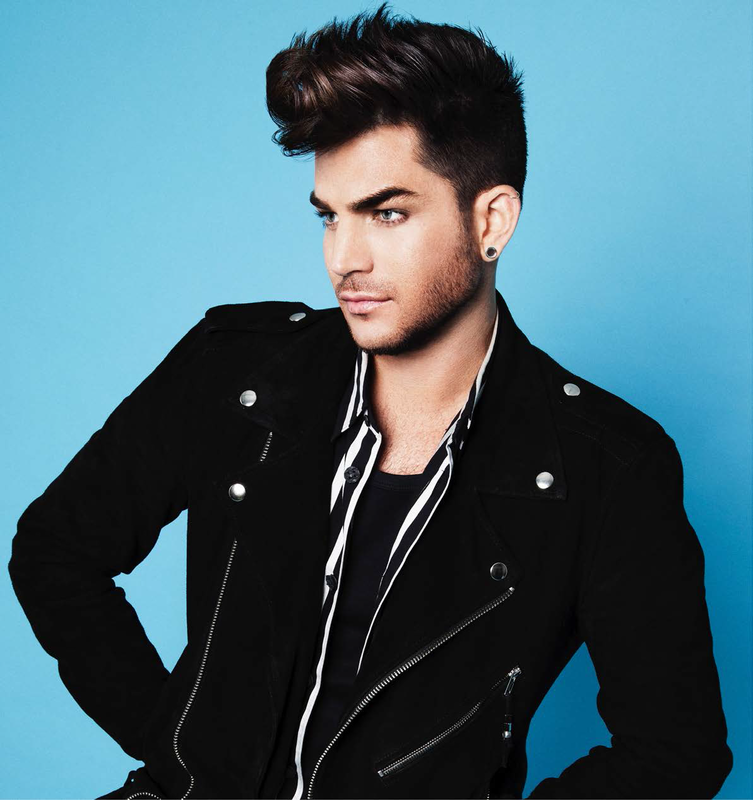 As the country gets comfortable with its gay idols, Lambert’s unrepentant and honest approach to pop stardom has gained a following beyond any traditional gay fan base. The new album’s first single—“Ghost Town,” which dropped on April 21—with its driving beat and sparse production, is the perfect gateway to the rest of the project. The song, with its black-and-white music video, sets a new tone for the artist, who has just signed a new record deal with Time Warner music. Lambert has worked inside the entertainment business for almost a decade and a half, years before his American Idol debut. While he believes the show certainly jumpstarted his career, his 15 years as an Angeleno also shaped him creatively and personally. The Original High is an attempt to capture that sense of joy—Lambert’s happiness before he became the biggest gay pop star in America. 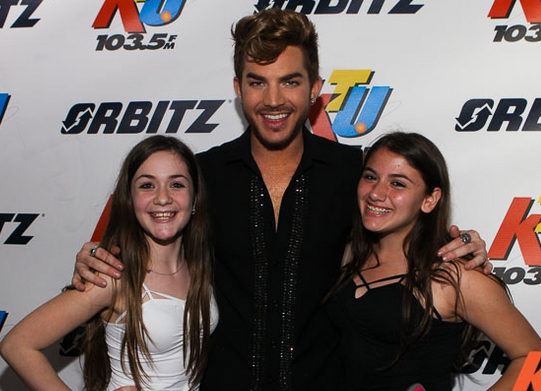 From Indianapolis originally, Adam Lambert moved to San Diego when he was young. “Music has always been a part of my life,” he says, having moved to Los Angeles while he was still a teenager. Despite a lack of resources, he put together a career path familiar to many Angelenos—working any job he could between auditions and gigs. Landing in Los Feliz, he became enamored with L.A.’s vibrant gay scene, auditioning for Idol when he was 27. Lambert’s success on the show—finishing as runner-up to an already forgotten Kris Allen in the series’ eighth season—meant his career got a huge jumpstart. 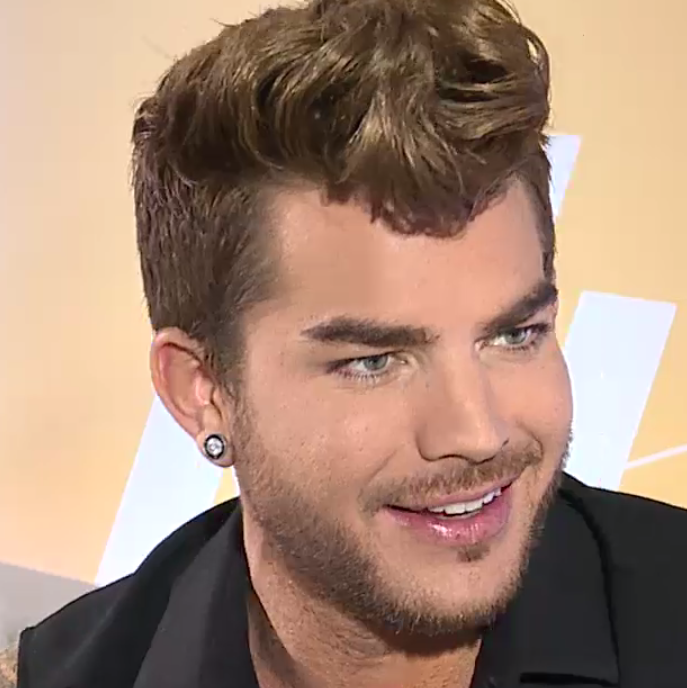 “I’m very happy about American Idol,” Lambert says, “but now I get to go beyond that. I can come out as my own artist, and take my career where I want to.” To aid that transition, Lambert has tapped famed producer Max Martin, the Swedish hit-maker behind Taylor Swift’s 1989 and fellow Idol alum Kelly Clarkson’s “Since U Been Gone.” They’ve worked together since For Your Entertainment, but Martin has taken on an outsized role following Lambert’s bumpy transition from RCA to Warner. His old label wanted him to do a compilation of ‘80s covers, while he wanted to record new music. That rift led to his departure. “The day after I left my old label, I got a call from Warner,” explains Lambert, “and they said, ‘I hear you’re doing an album with Max Martin.’” The cachet provided by the record producer meant his project was not only a hot commodity but a bankable work of music. Nearly six years after Idol, Lambert wanted to reshape his image and rework his sound. Despite the challenges a mid-career shift can sometimes present, he’s more than ready to blossom from former TV contestant to a full-fledged star. One of the formative experiences Lambert experienced was moving to Stockholm for two months, drawing upon the talent and experience of Martin’s stable of up-and-coming stars, named the “Wolf Cousins.” Tove Lo, a newly minted star in her own right and a Wolf Cousin member, guest-stars on one of The Original High’s tracks. “It helped that I didn’t know anyone there,” he says of Sweden, adding, “It was really cold, too.” The isolation meant Lambert only had music to focus on, and the lack of a label was liberating. “I didn’t have anyone telling me what to do,” he says, free to conceive and execute the album as he pleased. The result is Lambert’s most personal work yet, and one that reflects his experiences as a gay man in Los Angeles. “This is the sound of me exploring the city, of the underground gatherings I went to when I was a struggling singer.” The only other guest vocalist featured is Brian May, a member of Queen, the group Lambert now fronts on tours. “Queen is such a great experience,” he says, as someone who grew up idolizing Freddie Mercury and the band’s orchestral and ornate sound. “I tend toward rock—loud music,” he says. The collaboration—which has not yet resulted in a studio album but could eventually head in that direction—began when Lambert was an Idol contestant. He was mentored on the show by May and eventually belted out “Bohemian Rhapsody” on the show, a track he mentions is one of his favorites. Lambert’s turn as the frontman for Queen only underscores his place in the pop-rock landscape—he is the most well-known gay man currently working in music, and he’s one who not only achieved widespread success but refuses to shy away from flamboyancy or stereotypes. His work as a musician has spanned the androgynous look of his For Your Entertainment period to the gritty, five o’clock shadow machismo of his current presence. Being openly gay in the music industry has actually been less challenging than Lambert believed it would be. While his wide television exposure certainly helps, changing attitudes also mean he isn’t expected to box himself into one persona. That latitude that he’s been afforded is not lost on him. #SaturdayNightOnline: How many pairs of shoes and boots does Adam Lambert own? 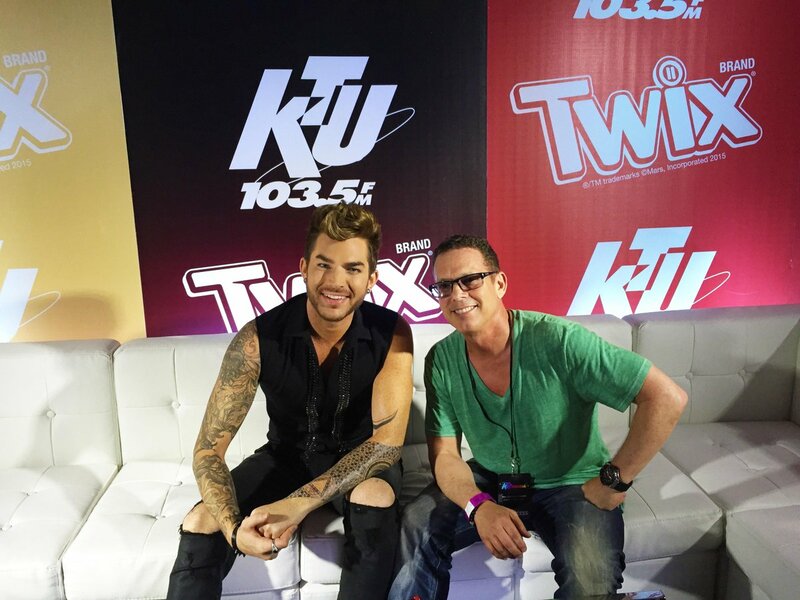 Adam was guess co-host of Saturday’s iHR CHR edition with Romeo. Las Vegas, May 30, 2015. @adamlambertidol YOU READY GUYS! 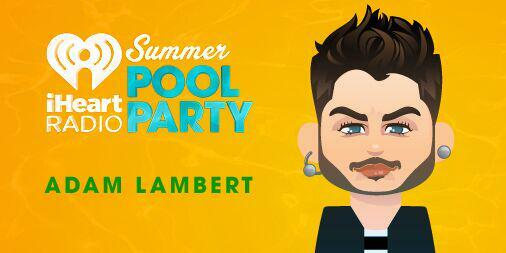 @adamlambert is gonna be at our #iHeartPoolParty! Saturday at 8PM PT on @yahoolive! New York, May 31, 2015. Hey Sweden, this is @adamlambert taking over this account today! Stay tuned for more!